How long will frevvo support IE8? Too often, we still hear customers say “Most of our users are using IE8, which is our company standard. We also need to make sure it runs on an iPad.” It makes our developers want to curl up into a ball and weep. What can we do? Hack away!! IE8-specific junk in the CSS. We’re leaning towards the last option. Why? We don’t want to become irrelevant ourselves. Mobile is the future and we have to concentrate our resources on the future. It’s simply too expensive to build apps with modern, curvy UIs and cool new features for the latest iOS toys that everybody wants while still supporting IE8. When we ask customers if they’ll pay an IE8 tax, that’s a non-starter too. Microsoft will drop support for Windows XP in April, 2014. This should finally force IT departments to dump this decade-old technology. IE8 not welcome here. It’s becoming more and more common – Google’s dropped support for example but increasingly libraries like jQuery 2.x do not support IE8. Developers [including ours] use these libraries everywhere and that means we can’t use the latest fixes in these libraries or have to maintain two separate versions. IT departments have heretofore [reasonably] asked “What will it cost us to upgrade?” It’s not cheap for large organizations. But it’s time to consider the costs of not upgrading such as the cost of continuing to build IE8-compatible sites, not being able to access large parts of the web, and running an OS that is no longer supported. At frevvo, the Form/Flow Designers are already not supported in IE8. In early 2014, we’ll release v5.2. It improves the mobile user experience. Things will still work in IE8 but there are already noticeable differences. 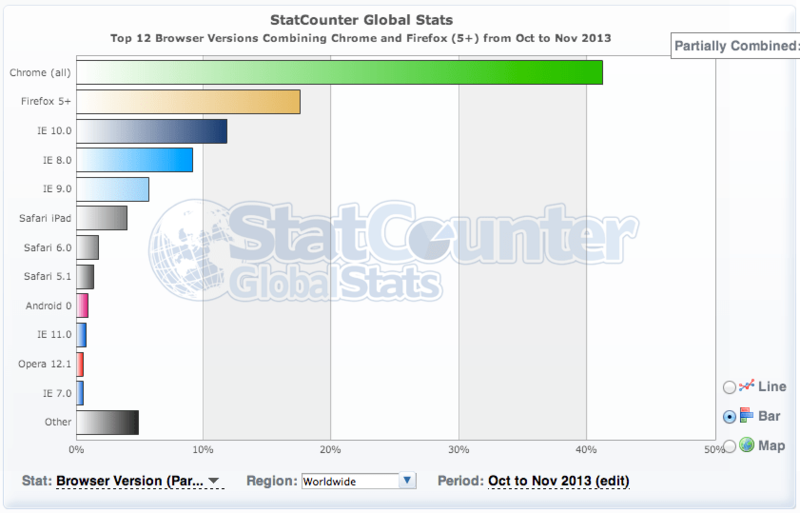 In the second half of 2014, we’ll probably drop support for IE8 altogether in newer versions. Previous Post Are frevvo forms accessible?